What's the story about modern Amsterdam architecture? Of course, Amsterdam is known for it's city center, which largely originated from its 'Golden Age' (17th century). But afterwards, enough interesting buildings in Amsterdam were constructed, too. This article subsequently covers leading Amsterdam buildings from the 20th, 19th and 18th centuries. In recent decades, due to the expansion of the city, new neighborhoods have been built, such as the Bijlmermeer (later rebaptized Amsterdam South-East), inaugurated in 1968. However, most modern buildings are scattered throughout the city. 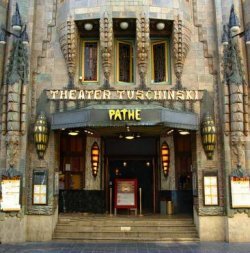 The Tuschinski movie theater (Reguliersbreestraat 26-28) is one impressive building, both on the inside and the outside. 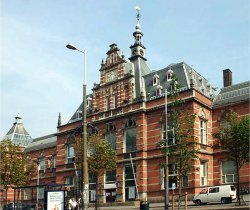 It was designed by Hijman Louis de Jong and built in a spectacular combination of Art-Deco style, Jugendstil, Art Nouveau and Amsterdam School style. It opened in 1921 as a cinema and variety theatre. Although it has been extended (it has now six cinema screens) and renovated, its main auditorium still preserves the organ and the stage originally designed for performances and it is the place where many movies premieres are held. 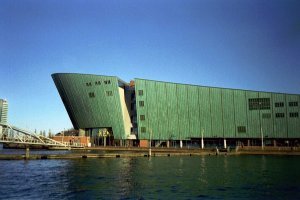 The largest science center in the Netherlands, NEMO (Oosterdok 2) is housed in a boat-shape building located 'above' the IJ river. Since its opening in 1997, it has quickly become one of Amsterdam's indisputable architectonic landmarks. It was designed by the Italian architect Renzo Piano. Its rooftop offers a spectacular view of the marina and in summer it is transformed in a beach. Near NEMO is one of the newest additions to Amsterdam architecture, the Public Library (OBA). The architect is Jo Coenen. The futuristic design and irregular building heights are but some of the features that recommend OBA as a remarkable construction. Loved by the public is the ING building (nicknamed the 'Sand Castle') in the Amsterdamse Poort. 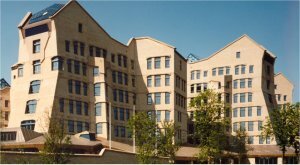 It was built in 1979-87 by Dutch architects Ton Alberts and Max van Huut in the style of organic architecture inspired by Rudolf Steiner. The architects believe human feel much better in a building with forms and shapes derived from nature, supported by the use of warm colors and materials such as wood and stone. Nothing is rectangular in this building. In the 19th century, a large number of public buildings in revivalist styles were erected in order to meet the needs of a growing and more sophisticated urban population. The Rijksmuseum (Stadhouderskade 42), built in Neo-gothic style was opened in 1885. It was designed by the Dutch architect P.J.H. Cuypers, who also built Amsterdam's Central Station. The Rijksmuseum is only partly open now due to renovations. In 1888, the Concertgebouw (Concertgebouwplein 10), an imposing Neo-Renaissance style building hosting two concert halls was inaugurated. Its design had been awarded to the Dutch architect Al van Gendt seven years earlier. The Stedelijk Museum (Paulus Potterstraat 13), Amsterdam's municipal museum of modern art, is also hosted in a Neo-renaissance building situated in the vicinity of both the Rijksmuseum and the Concertgebouw. The museum building was designed by A.W. Weissman and was opened in 1895. The facade is decorated with gables and statues of artists and important Dutch architects. However, the building is closed for renovations and the Stedelijk expositions are hosted in other venues in Amsterdam. 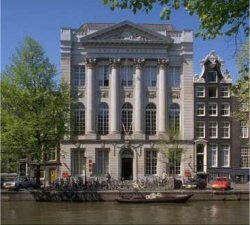 An imposing neo-classical building from the 18th century is Felix Meritis (Keizersgracht 324). Opened in 1787, it became the cultural center of the city in the 19th century. Today it houses a library, an observatory, laboratories and a small concert hall, where among others Mozart and Johannes Brahms performed. One of the few fully-furnished houses open to the public is the Willet-Holthuysen Museum (Herengracht 605). It dates from 1740. Built originally for Jacob Jop, then mayor of Amsterdam, it was donated by the last owners, the Willet-Holthuysen family to the city of Amsterdam at the end of the 19th century. It was then turned into a museum. 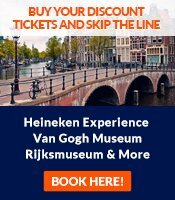 What are the leading Amsterdam attractions?